The unspooling of Toni Lee Wells’ Tiffany and Wild Turkey lifestyle begins with a trip to the Luckett County Jail drunk tank. An earlier wrist injury sidelined her pro tennis career, and now she’s trading her tennis whites for wild nights roaming the streets of Rose Hill, Georgia. Her wealthy family finally gets fed up with her shenanigans. They cut off her monthly allowance but also make her a sweetheart deal: Get a job, keep it for a year, and you’ll receive an early inheritance. Act the fool or get fired, and you’ll lose it for good. Toni Lee signs up for a fast-track Teacher Corps program. She hopes for an easy teaching gig, but what she gets is an assignment to Harriet Hall, a high school that churns out more thugs than scholars. What’s a spoiled Southern belle to do when confronted with a bunch of street smart students who are determined to make her life as difficult as possible? Luckily, Carl, a handsome colleague, is willing to help her negotiate the rough teaching waters and keep her bed warm at night. But when Toni Lee gets involved with some dark dealings in the school system, she fears she might lose her new beau as well as her inheritance. What a delightful read! I have heard of Karin Gillespie's books for a while now, but this is the first one I've read. It will not be the last. I started with a little trepidation, because I usually don't enjoy books with spoiled, entitled protagonists. That's the thing, though. Toni Lee starts out spoiled, but she changes. And that is the heart of this novel. This novel has lots to enjoy: southern charm (my home state of Georgia, no less! ), a school setting (one of my favorites), and a romantic relationship with sparks and heart. Carl is one of my favorite book boyfriends in recent reads. And it has Toni Lee. I loved watching this character grow and change, discovering her passion in life and love ... and I only hope this is just the first book about Toni Lee and the other characters in this book. I really enjoyed this book and have already recommended it to friends. I'm recommending it to you here, too. Read it! You are in for a treat. Karin Gillespie is national bestselling author of five novels and a humor columnist for Augusta Magazine. Her nonfiction writing had been in the New York Times, The Writer Magazine and Romantic Times. She maintains a website and blog at Karingillespie.net. Sign up for her newsletter on her website, follow her on Twitter or connect with her on Facebook. 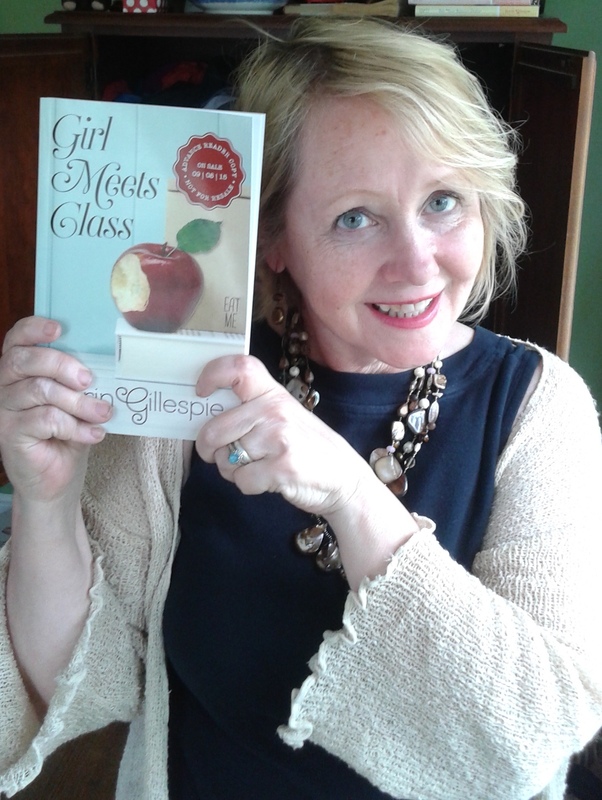 One lucky winner will receive an eBook of Girl Meets Class. I received this book from Great Escapes Book Tour in exchange for an honest review. Karin Gillespie is a new author for me. 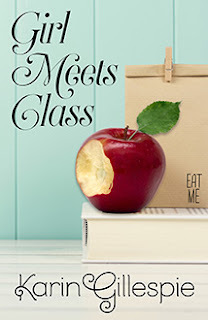 I'm looking forward to reading Girl Meets Class. This book sounds really good and interesting! :o) I'm addicted to reading & made it a goal to read 50 books in 2015, so this would be a great addition to the list. I know I'm a nerd. Karin, I look forward to reading your other novels! Loved this one. Msfolke, 50 books in 2015 is a wonderful goal! I think I am going to set a similar goal in 2016. I've never heard of this author...a new one!